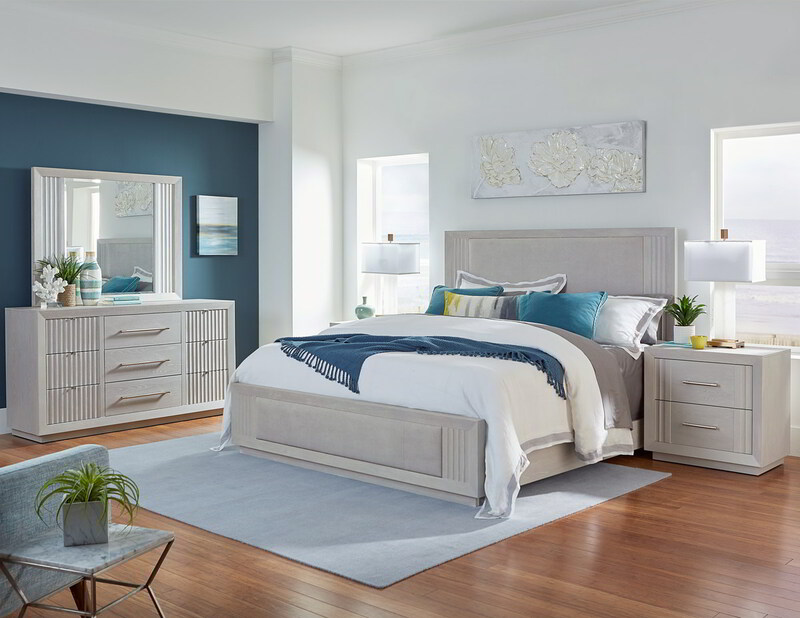 Solstice is a casual contemporary bedroom collection offering a unique style and finish. Pieces feature scalloped details and drawer fronts with plinth bases that provide a visual interest throughout the group. The subtle soft gray finish allows the beautiful shapes and custom hardware to pop. Modern functions such as built-in outlets with USB ports, storage, felt-lined and cedar-lined drawers complete this collection. Crafted with select hardwoods and Chinese Elm veneers in a light Nimbus gray finish with Matte and Polished Nickel finished bar and tab pull hardware.